This weekend I traded several email messages with an IT manager in Egypt who just completed our IT Manager Institute Self Study. He reworked his resume and asked me to review it and provide feedback. They are organized and provide a lot of information about the person. They tell a lot about the manager’s technical knowledge. They list the manager’s former companies and describe what he did. They list technology training and education. 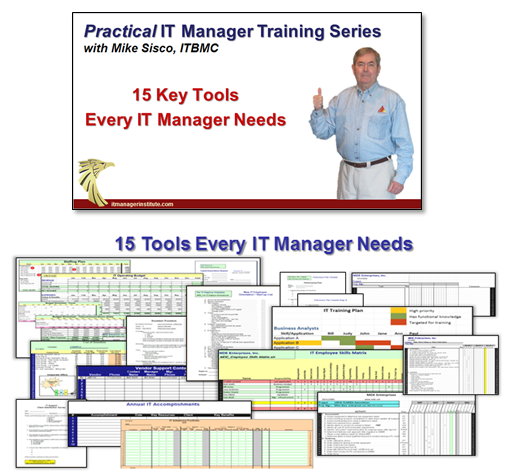 Bottom line, , , most IT manager resumes are technical. 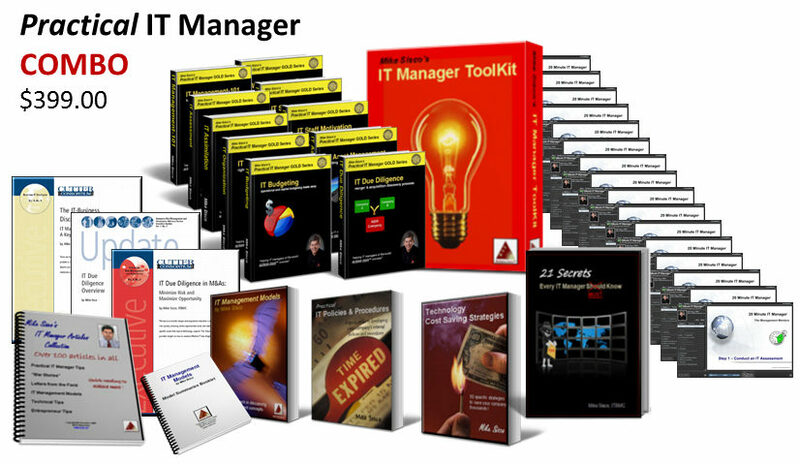 Most IT managers think that to get a technology manager job you need to provide lots of information about your competence in technology. Unfortunately, that’s not what senior managers are looking for, , , we need managers who can manage technology resources and get results. We aren’t looking for technology experts, , , this is handled by the staff. What these resumes don’t do is stand out from all the other IT manager resumes you see. They provide a lot of “what” but not “why” a senior manager would want to interview you. Put yourself in a senior manager’s situation. If he is looking for background in a specific technology, having this on your resume will hit his “hot button”. The problem is that this is a “hit or miss” and more of a “miss” than anything. What you need is something on your resume that makes a senior manager want to learn more about you, , , makes him put you in his “top 3 candidates list” and truly want to interview you. You need something that says “WHY”! You need to list specific results and benefits received from what you have accomplished. 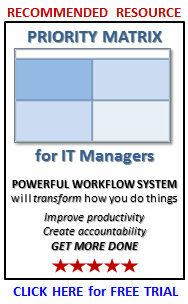 IT managers almost always focus on “what” when they need to focus on “why”. It doesn’t matter if it is in a resume, part of an IT strategy document, or discussing the need to invest in upgrading your infrastructure. 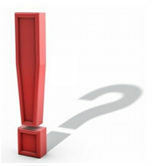 “What” deals with technology, , , “why” deals with business perspective and justification. Instead of just putting in your resume that you delivered a new scanning and imaging technology, , , add the results that were achieved, , , like “eliminated 50% of our paper and reduced handling and storage costs by $45,000 per year”. Instead of just saying you delivered 80% of your projects successfully, add that it “improved client satisfaction by 30%”. Instead of saying you delivered XYZ project, add that it “reduced the delivery time of a key service by two weeks”. The point is you need to highlight the results you achieved in the points you make about former companies and experiences. Senior managers are looking for people who can make things happen and understand the importance in delivering business value. Positive results achieved by your past actions create interest in learning more about you, , , and how you got your results. It says you are results oriented and realize the business purpose of your part in the company. Senior managers don’t see a results oriented resume for a CIO or IT manager that often, , , they see the same old thing all the time, a resume with lots of information about the person’s technical knowledge but rarely anything about what the person accomplished. This is not what gets you an interview. Something else was immediately noticeable in the resume I reviewed this weekend. It was 6 pages long. This is not what I want to receive as a senior manager, , , it needs to be no longer than 2 pages. Now, different countries and cultures have different preferences. Some countries place emphasis on listing all the training and education you have. In the US, we don’t tend to focus on an IT manager’s past technical training unless we are in the education industry. What I can tell you is that I probably would not give a candidate an interview if he sent me a 6-page resume. In it will be lots of detail and very little, if any, reasons for me to want to interview and hire him. Almost guaranteed. IT managers are high detail and we think we need to give people all kinds of detail describing all that we know about technology. Not so. Senior managers don’t care what you know nearly as much as whether you can get results for their company. Don’ t provide all this detail unless it’s the common thing to do in your country or the industry you work in. My advice – make your resume more results oriented and less technical oriented. My student from Egypt, , , he condensed his resume into a 2-page summary. He now has a long detailed version and a short version. He also revised his resume to be much more results oriented, , , it’s a resume that describes someone I would want to interview if I was hiring an IT manager. This entry was posted in IT Manager Tips and tagged it manager resume. Bookmark the permalink. Can you share a sample of this resume ? Yes, I have received permission to use it so over the next week I will modify the resume slightly (only taking out specific names and company references to keep it generic). Look for a post titled “Sample resume” in a few days.